The Reef Octopus Classic 90 HOB skimmer is totally different approach to HOB skimmers as it has a cylindrically main body and is capable filtering aquariums up to 130 gallons. 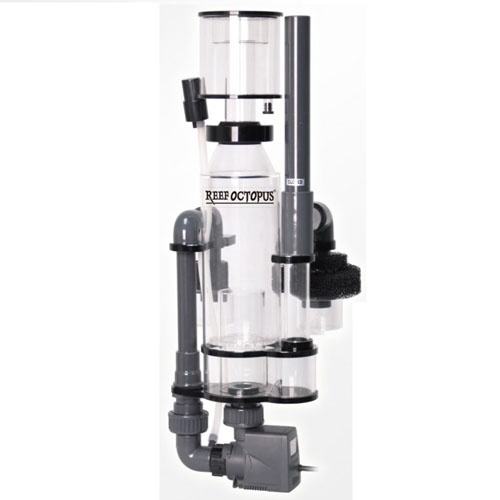 The Classic 90HOB intake device skims the top of the water surface removing the ugly oil buildup and organics from the water surface that would otherwise accumulate and hinder light penetration. 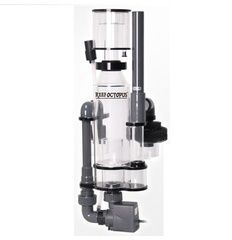 A cylindrical reaction chamber, the bubble chamber and conical body to neck transition all help manage the air gently and reducing turbulence providing stable filtration performance. Best of all the Classic 90HOB is very easy to be set up and easier to operate.